The population of the area has always lived on animal husbandry, agriculture or fishing due to the numerous rivers. Vast studs and herds can still be seen here. In some places it is also possible to get a close look at the traditional life style of shepherds, see them in their costumes, listen to their folk songs or taste their food. Nowadays the famous Anna Ball of Balatonfüred is opened with the Anna Ball Waltz which was composed by the famous Hungarian composer Jenő Huszka (or Eugen Huszka, 1875-1960) in 1958. 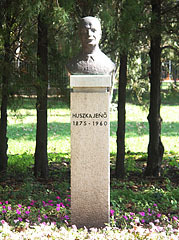 The current bronze bust statue on the Tagore Promenade is a copy, because the original limestone artwork (created by Dezső Mészáros) was vandalized in the 1990s and it was impossible to restore. The bronze replica was inaugurated on the same place in 1995. 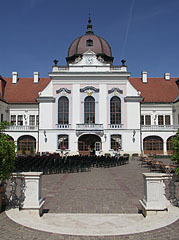 At the end of World War I King Charles IV of Hungary (or Charles I of Austria) first heard about the collapse of the Austro-Hungarian Empire here within the walls of the Royal Palace of Gödöllő. 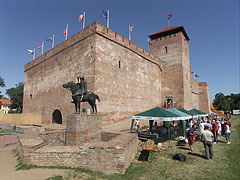 Then between the two World Wars the palace was the residence of Regent Miklós Horthy.